The Ananda Lingesheshwara temple is located on the hillock called Ananda Giri in Cholanayakanahalli, Hebbal Bengaluru. This temple is said to be from Chola period. When we visited this place we were surprised to see that it didn't look like Chola period temple. When enquired the priest, he said this temple was renovated during the year 2000. 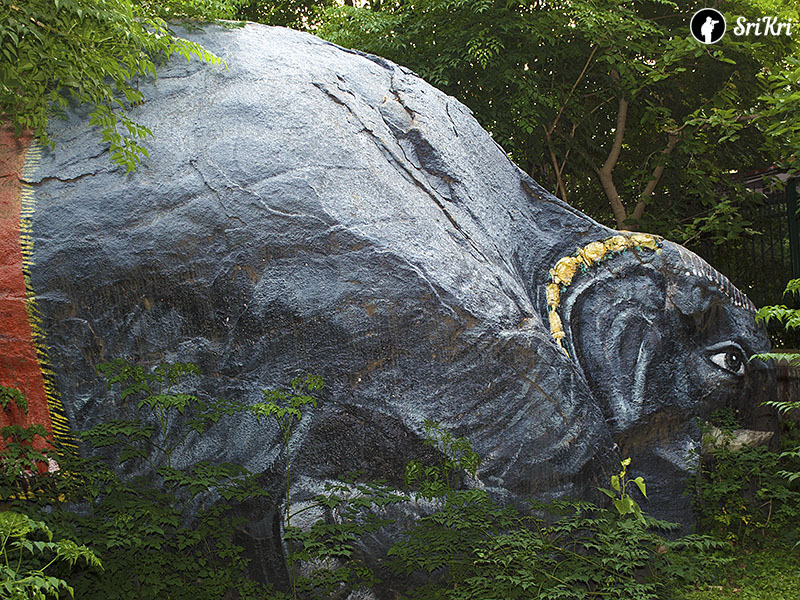 On the side of the temple, we saw Ganesha and Naga stone sculpture which is believed that it was from Chola period. This temple is approximately 1 km from Hebbal flyover (Bellary road). 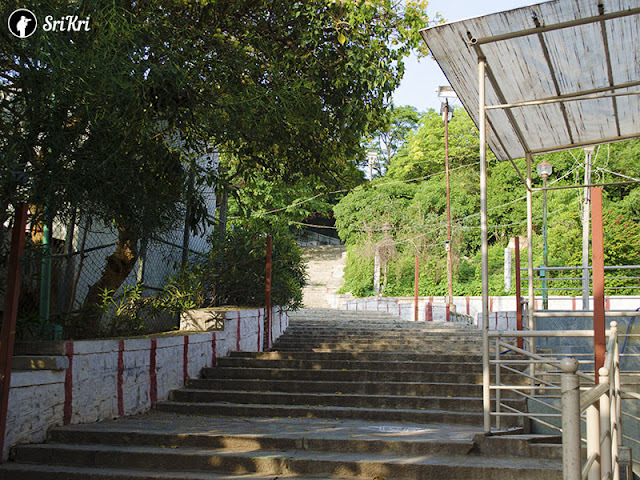 The roads leading to this temple is narrow and it is difficult to find place for parking car. Somehow we managed to park our vehicle nearby. It would be better to park near Hebbal railway station and walk for about a kilometer. 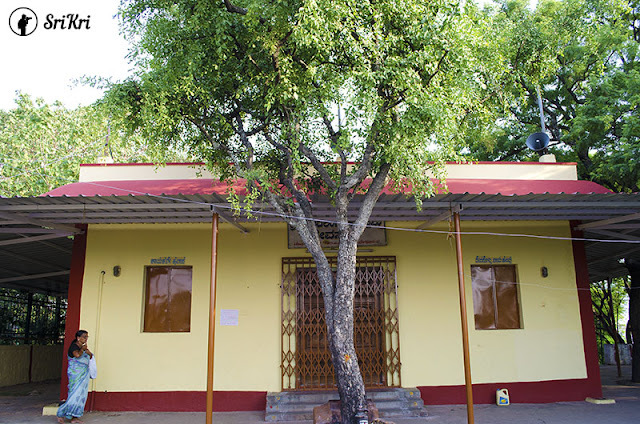 This temple has two entrance. 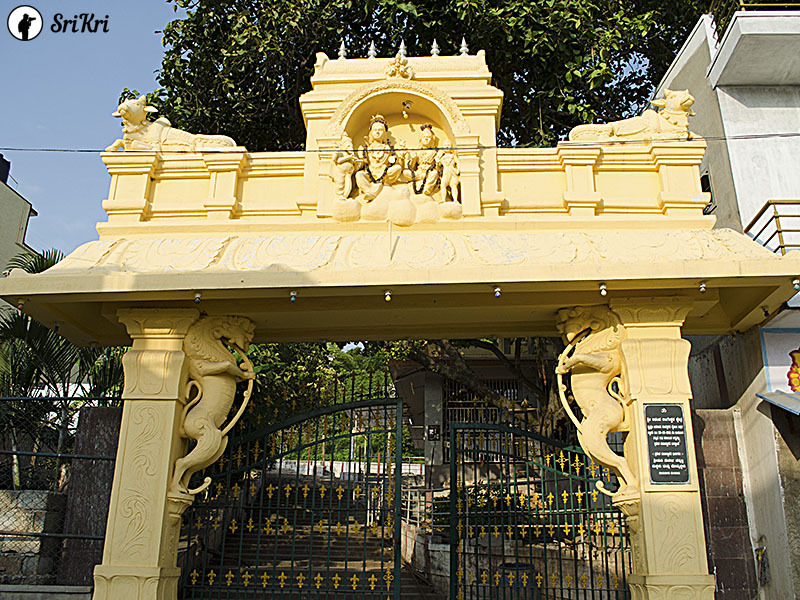 On the western entrance of the hill, Ganesha temple is located. This seems to be built in the recent past. 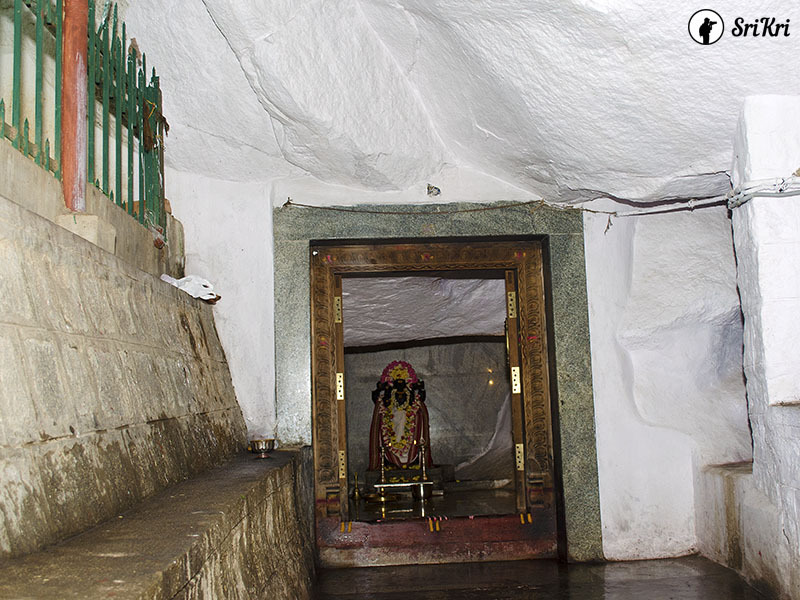 On the eastern entrance, Kalabairaveshwara (Kalabairava) is located inside the cave. The deity was consecrated in 2013. Inside this cave there is a secrate passage which leads to Nandhi Hills. 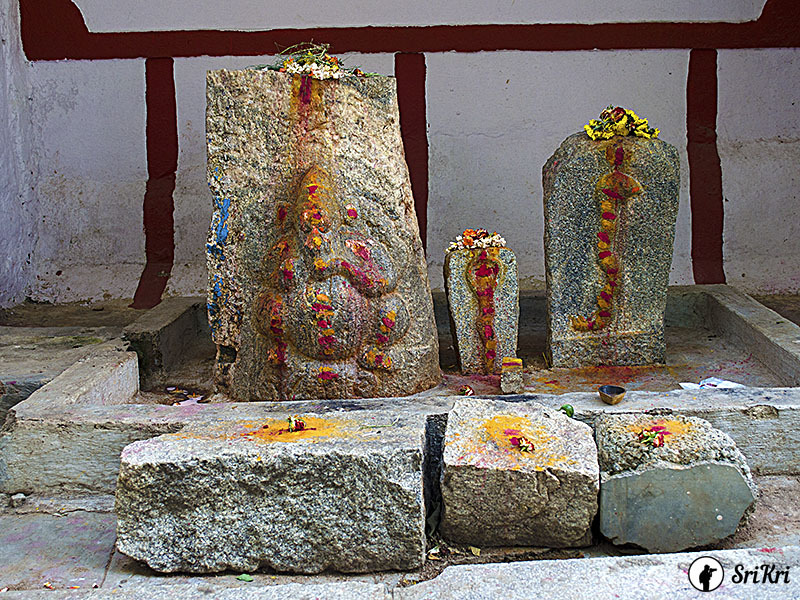 Kalabairaveshwara is said to be consecrated here after advice of the astrologer Savithru Sharma. 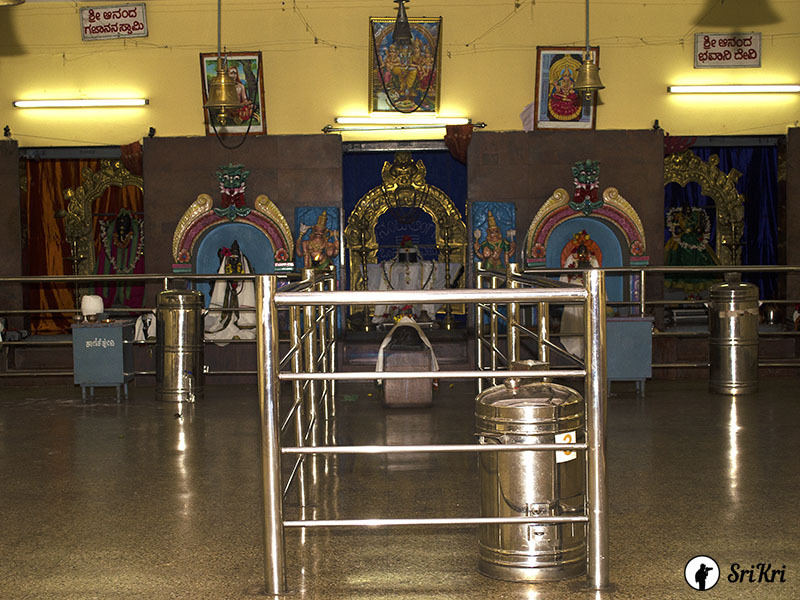 This is the only temple in the Hebbal region for Kalabairaveshwara. We need to first visit Kalabairaveshwara and then visit the main temple. 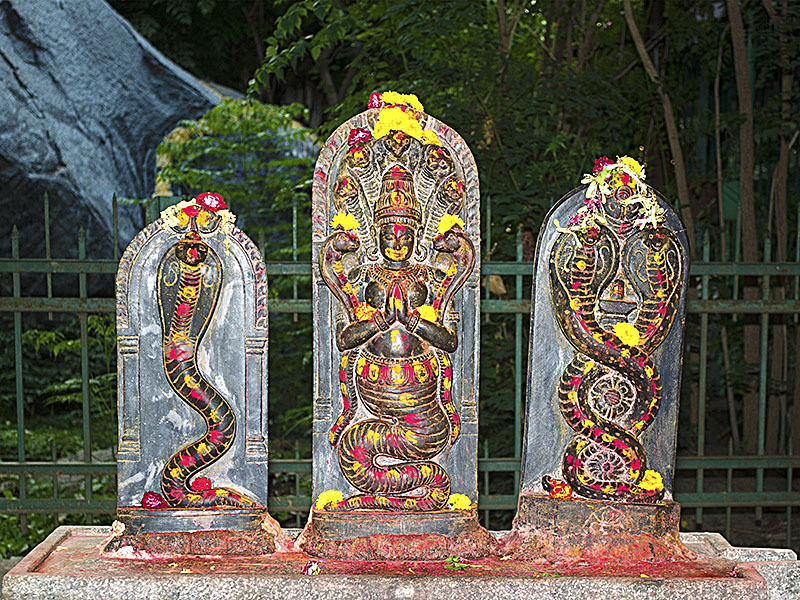 The main temple is dedicated to Lord Shiva. To his left Goddess Bhavani and towards his right Lord Ganesha is gracing the devotee.